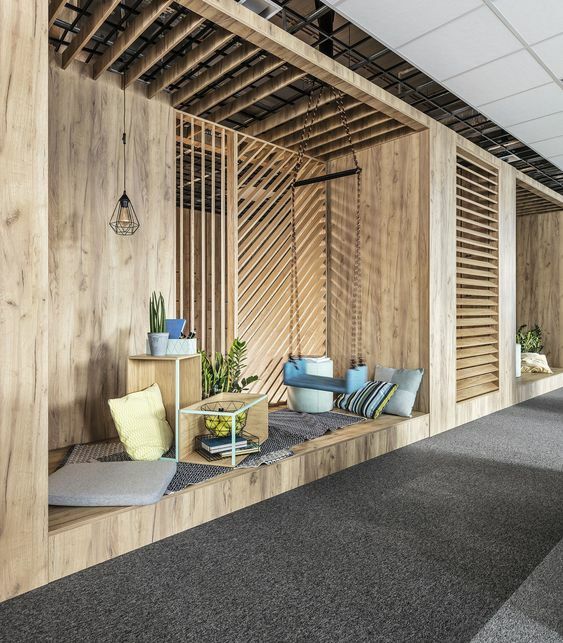 Are you looking at creating a culture-inspired workspace for your team? Obviously, you want to get the best from your employees by creating a space that motivates and inspires them to do their best work, every single day. We know engaged and happy employees feel loyal to their company and are driven to help their employees succeed. How comfortable they are in the space you create for them has a direct correlation whether this will be the case. You want to generate an atmosphere where your staff feels excited, positive and purposeful, and in turn, will deliver the results you need to succeed. The good news is there are proven strategies to help organisations create workplaces that both empower staff and transform business. We’ve put together our best tips for designing and creating culture-inspired workspaces for everyone in your team. Create A Flexible & Adaptive Space. Creating a flexible office space allows your staff to feel non-restricted whilst completing their daily tasks. It’s important to enable the space you’re using to have different adaptive areas, so your employees aren’t constricted to a desk or cubical. Furniture should be able to be moved around, desks can be adjusted and small meeting areas easily accessible. However, we understand sometimes employees need some quiet time to focus on certain duties. This can be achieved with quiet corners or sound-proofed meeting rooms. This also offers employees the freedom to move around as well. A change of setting has been proven to be great for employees health and motivates more efficiently. Aim For Collaborative Design And Furniture. Collaborative furniture and design can allow face-to-face interaction, engagement, and relationships between colleagues to thrive, which is important for creating a team environment. We can achieve collaborative design through the use of fixed or freestanding furniture. Acoustic pods can also provide spaces for uninterrupted meetings. Large meeting desks can be used for tasks requiring collaboration. Making a great first impression, whether this is for your employees, or for new and existing clients, communicates your business’ professionalism and establishes who you are and what you stand for. Engaging the facilitators through the use of colour, signage, interactive features and technology both visually and physically generate a memorable or motivational connection to be made to the space and brand. Biophilic design is design that focuses on the natural world. Bringing the outside in is a great way to create a calming and stress-free environment. Large windows allow natural light to pour in, plants around the office create more clean air for employees to breathe in, organic colours, patterns and materials create a relaxed ambiance, and all of these work together to help reduce stress levels and increase focus and energy. Providing sufficient storage within your office will give your employees ample opportunity to keep their space neat and tidy. You can’t expect your staff to have a clean and organised work station if they’ve got nowhere to store the tools needed for their role. Good storage will also project to your clients, skills of business handling and organisation. Ready to design and create a culture-inspired workplace for everyone in your team today? Get in touch with our experienced team to see what we can do for you! Next PostWhat Can A Residential Interior Designer Do For Your Home?